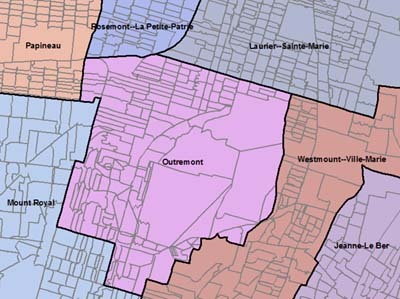 Digital Electoral Districts and Polling Divisions Boundary Files , produced by Elections Canada, contains two sets of digital maps: federal elctoral district boundary file and the polling division boundary file. These files correspond to the 2003 Representation Order, 308 seat representation, which is now outdated. This data is available in ESRI Shape format and can be used in a Geographic Information System. Citation Digital Electoral Districts and Polling Division Boundary Files [computer files]. Ottawa: Elections Canada, 2005.